TAMPA, Fla. – The 2019 USL Championship season will open with a landmark opening day on Saturday, March 9 thanks to a 17-game slate of action – the most on a single day in the league’s history – that kicks off the regular season. The Championship’s home openers were revealed in full on Friday as fans of the league’s 36 clubs got their first glimpse of the 2019 campaign, with an opening day of games that includes inaugural home matches for four expansion franchises across the country. Birmingham Legion FC, El Paso Locomotive FC, Memphis 901 FC and New Mexico United will all open their inaugural seasons on home turf, with Memphis welcoming the Tampa Bay Rowdies to AutoZone Park for its first regular-season home game and Birmingham facing 2018 USL Cup Playoffs side Bethlehem Steel FC in its opener at BBVA Compass Field. Locomotive FC will begin its inaugural season at Southwest University Park with a visit from OKC Energy FC, while New Mexico United will play host to Fresno FC in its inaugural home opener at Isotopes Park. 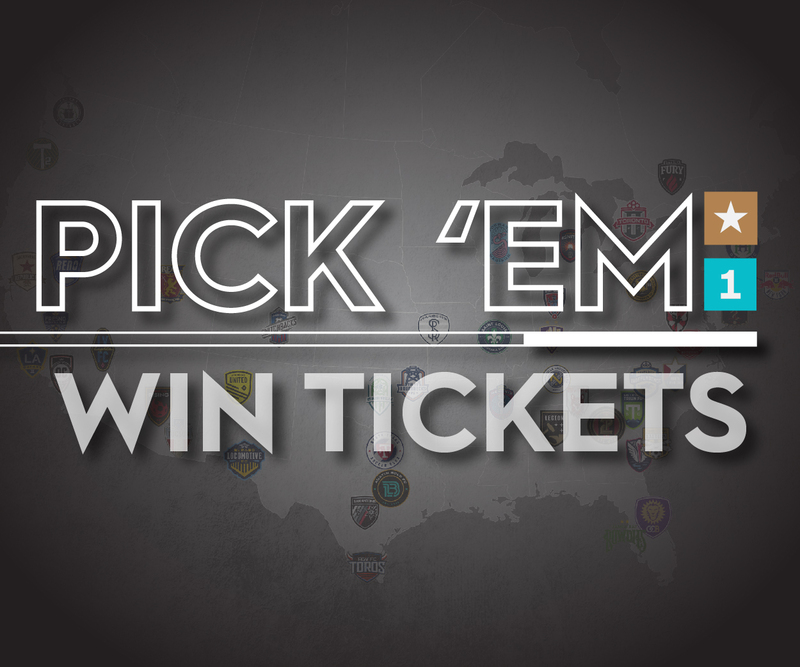 Other notable games on the opening day of the season include high-profile games in each conference with two-time defending USL Cup champion Louisville City FC opening its season on the road against North Carolina FC and a rematch of the 2016 USL Cup as the New York Red Bulls II play host to the Swope Park Rangers highlighting the slate in the Eastern Conference. Defending Western Conference champion Phoenix Rising FC also opens its campaign on the road as it visits San Antonio FC at Toyota Field, while Reno 1868 FC plays host to Orange County SC at Greater Nevada Field in a rematch from the 2018 USL Cup Playoffs. Sacramento Republic FC welcomes Real Monarchs SLC to Papa Murphy’s Park for a battle of two consistent playoffs contenders in recent seasons. 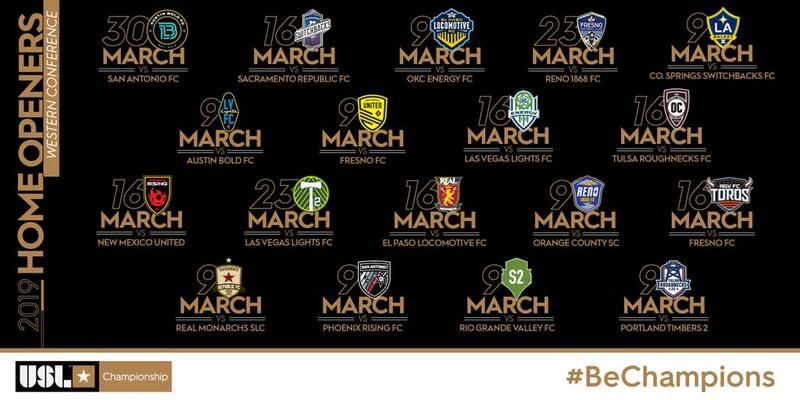 Beyond the opening weekend of the season, the Championship will see the opening of a pair of soccer-specific venues over the course of its opening weeks, with Austin Bold FC playing host to Texas rival San Antonio FC on Saturday, March 30 for the first regular-season contest in Bold Stadium history. The spotlight will then fall on Hartford Athletic on Saturday, May 4 as it hosts its inaugural home opener at historic Dillon Stadium with a visit from the Charlotte Independence.